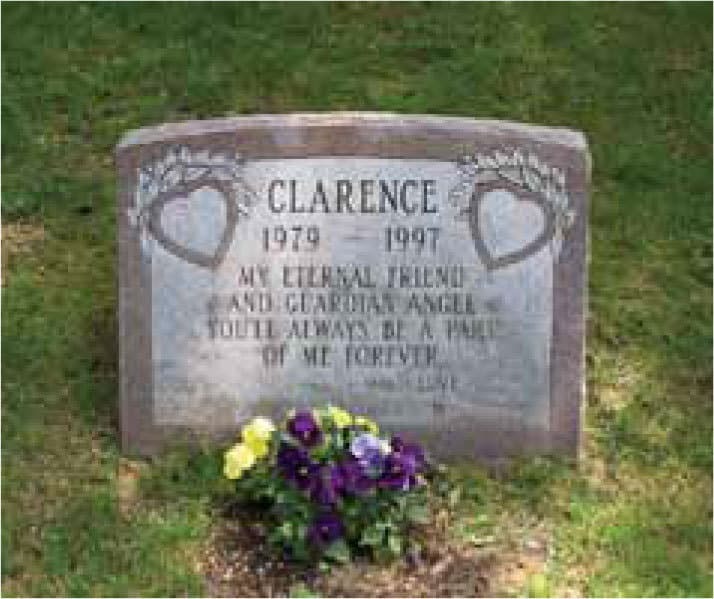 Hartsdale Canine Cemetery is home to a number of pets of celebrities. Among the celebrities who have chosen to bury their pets at Hartsdale are Gene Krupa, Joe Garagiola, Elizabeth Arden, Kate Smith, George Raft, Evelyn Nesbitt, and James S. Sherman (27th Vice President of the United States under William Howard Taft), James S. Sherman. One of the more recent arrivals is one of singer Mariah Carey’s Jack Russell Terriers, Clarence (1979–1997). His epitaph reads “My eternal friend and guardian angel you’ll always be a part of me forever. Love –M.” Carey’s pampered pooches often travel with her, sometimes chauffeured in a limousine, sometimes flying first class.